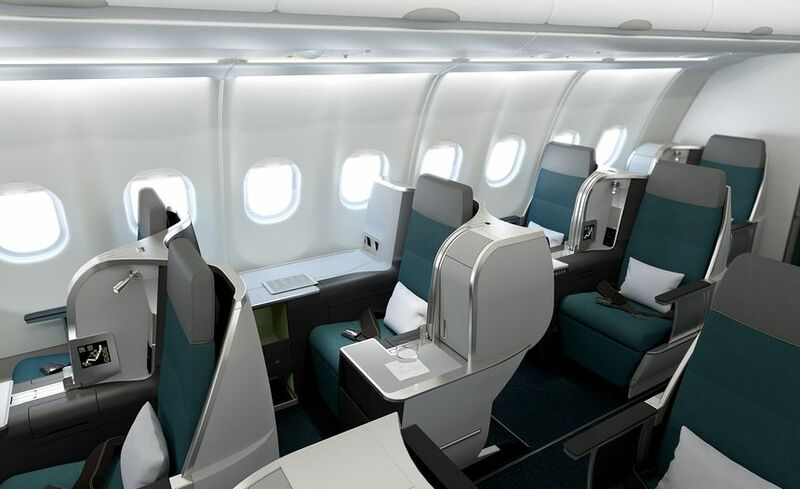 Aer Lingus will offer fully-flat business class seats on its forthcoming Airbus A321 jets, with the popular Vantage seats from Thompson Aero taking pride of place at the pointy end of the long-range fleet slated for both trans-Atlantic and key European routes. 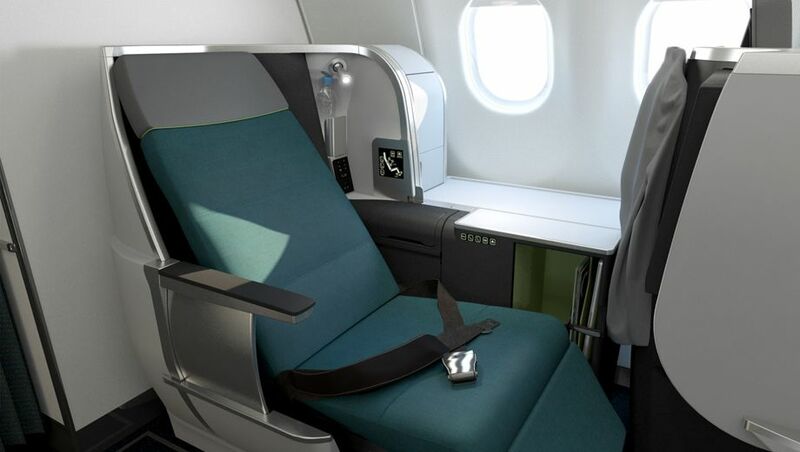 An internal Aer Lingus presentation sighted by Australian Business Traveller reveals the A321LRs will sport 16 Vantage seats produced by Irish seat maker Thompson and customised by London’s FactoryDesign to include more personal stowage and space around the seat. And that choice is no coincidence: these are the same seats which Aer Lingus already uses on its Airbus A330 and Boeing 757 fleet. A seatmap for the A321LR shows a staggered layout which will see three rows of paired seats on either side of the aisle, alternating with two rows of solo ‘throne’ seats. The Irish carrier expects to take delivery of the first of 14 Airbus A321LR aircraft in June, with three more due by year’s end. The internal presentation describes the factory-fresh jets as being part of the airline’s ‘brand evolution’ which has most recently been marked by a new logo, livery and uniforms. Aer Lingus aims to have 50% of its passengers use Dublin as a connecting gateway between North America and Europe, and to this end, over half of the A321LR fleet will also fly to the likes of London, Paris, Amsterdam and Barcelona. 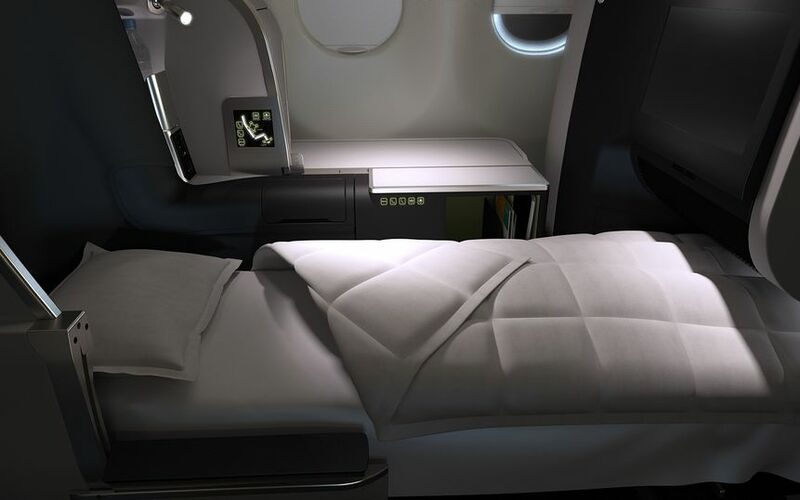 This will provide a full business class experience for passengers flying between the North America and Europe via Dublin, compared to the current all-economy European fleet. Any business class seats not sold to trans-Atlantic passengers will be available for purchase by local customers flying between Dublin and those European cities, delivering international-grade business class in what’s more typically a ‘Euro-business’ market. 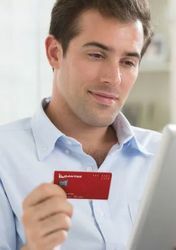 However, this won’t be a full business class experience with upgraded catering – passengers will choose complimentary meals from the same ‘buy on board’ menu as their economy counterparts. Aer Lingus was approached by Australian Business Traveller for comment but had not replied by the time this story was published. The new cabin looks lovely! If QF or VA introduced this on the single aisle aircraft they would have an outstanding hard product. They would, but it really doesn't make commercial sense when almost all flights except a handful of transcontinentals to Perth and small number of international routes are no more than 2-3 hours in length. Agreed it could only be viable on 3 daily flights ex PER to SYD/MEL/BNE. The rest are daylight services and don’t need fully flat beds really. Those seats are using up a lot of real estate. VA or QF would have to be pretty sure that they could achieve a premium above what they charge for the standard recliner J class before they venture down this path. Exactly, and I can just imagine the screams of "gouging" if they were to even try it. Jetstar is in the process of introducing it I believe... It has the same problem as EI, long haul segments to near Asia (14-16hrs return) that require flat beds but result in planes sitting on the ground underutilized for the remaining time. Jetstar are getting the A321LR but there is no talk of them having lie flat seats, especially when they don’t have them on the 787. Jetstar said what they would do is keep the overnight 787 services to Bali and have the daylight flight as a 321LR. The a321LR with lieflat would work well for Canberra and Adelaide to Singapore et al. Maybe even Newcastle as well. Outstanding product love the thinking the A321neoLRs has created for airlines and with a biz like this it’s impressive! 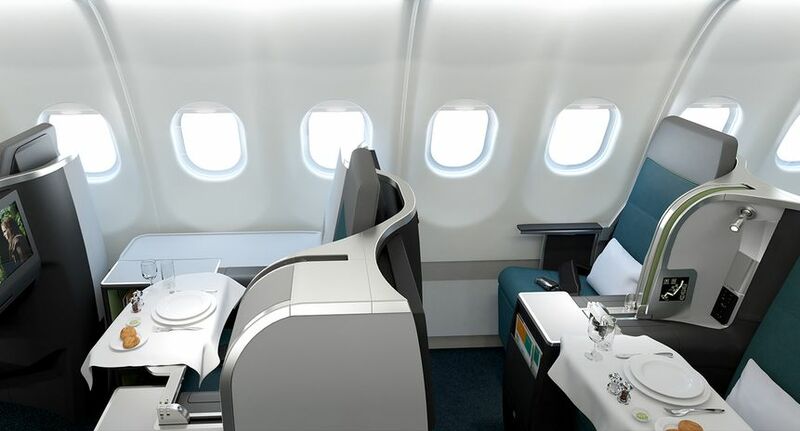 Comment on "Here is Aer Lingus’ new Airbus A321LR business class"